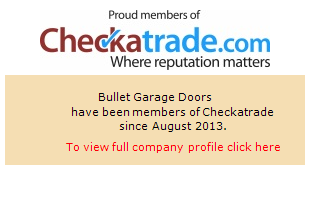 Here at Bullet Garage Doors, we are immensely proud of the extensive selection of garage doors we have available for our customers, both in Dunstable and across Bedfordshire. With a wide variety of different designs, in a range of finishes and colours, our products suit both modern and traditional properties. We’re also happy to offer some impartial advice as to the designs that would be suit your requirements; if you’re on the lookout for a new garage door, you’re in the right place. All of our Dunstable customers hold us in very high regard, and know that they can rely on us to deliver; don’t take our word for it, though, head over to our testimonials page to see what our customers have to say. As well as being able to provide a variety of finishes and colours for your garage doors, we can also offer a wide range of different designs. From the simple roller and retractable design to the slightly less common sectional and side-hinged variations, there’s a style out there to suit everyone’s individual tastes. There’s no need to be overwhelmed, either; our knowledgeable team can take you through the various features and benefits of each model in our range. We ensure that you’re in the best possible position to make an informed choice about what to go for. Once you’ve made a decision, our installation service then guarantees absolute precision when fitting your new doors. Our workers are well trained and highly experienced, meaning that any potential disruption to your property or your daily schedule will be kept to an absolute minimum. Our work doesn’t stop after we’ve installed the product for you, either. Our 12 month guarantee gives you the peace of mind that, in the unlikely event of any problems arising, we’ll return to your property to resolve the issue without delay. Based on Evelyn Road in Dunstable, we are also perfectly located to deal with any problems that may arise. For those of you who aren’t looking for a brand new garage door, but require professional help in repairing your existing one, you’re also in luck. Every member of our team has the experience and skill necessary to successfully carry out a range of garage door repairs. We always aim to restore your door to its best possible condition in the shortest time available, meaning there’s the least inconvenience possible for you. Whether it’s a minor fix or something more serious, we are incredibly confident that we’ll be able to sort it out for you with our garage door repairs service. As you can see, we are proud to be able to offer a comprehensive service for the Dunstable area, from providing and installing brand new garage doors to carrying out garage door repairs on existing products. If you’d like to discuss any of the services we offer with a member of the Bullet Garage Doors team, pick up the phone and call 01582 932025 today. Alternatively, you can fill out one of our online contact forms. We look forward to hearing from you soon! Very professional job, very neat and tidy. Would strongly recommend.